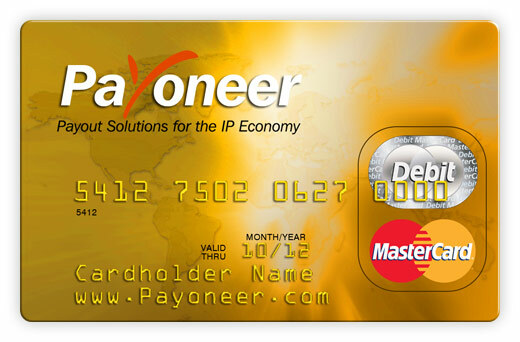 This is very sad news for Pakistanies who they are using Payoneer Master Debit Card to withdraw their funds now its been blocked by Payoneer.com according to usa anti money laundering law because Pakistani anti money laundering law is Expire & there is no update on it. Note: This is a Virtual Master Debit Card & anyone can get that from payoneer partners without of any bank account or documentation which is now blocked by payoneer. There is already unemployment in Pakistan so thousands of unemployed persons's are doing freelancing work at home (elance.com, freelancer.com, rentacoder.com, guru.com, odesk.com, scriptlance.com) & withdrawing their funds using Payoneer Master Debit Card (Withdraw funds with Atm Machines) now its all been finished & freelancing is going to be darked in Pakistan & also alot of webmasters are publishing ads with infolinks, textlinksads, reviewme, smowtion, etc & withdrawing their funds with Payoneer Master Card which is also going to be end because of Shamefull Polices of Pakistani Govt, they will need to provide jobs to peoples but unfortunately they are destroying IT Sector (Softwares Houses) & spreading unemployment in Pakistan. Please feel free to use our Contact Us page for any additional questions. Please do not reply to this e-mail.